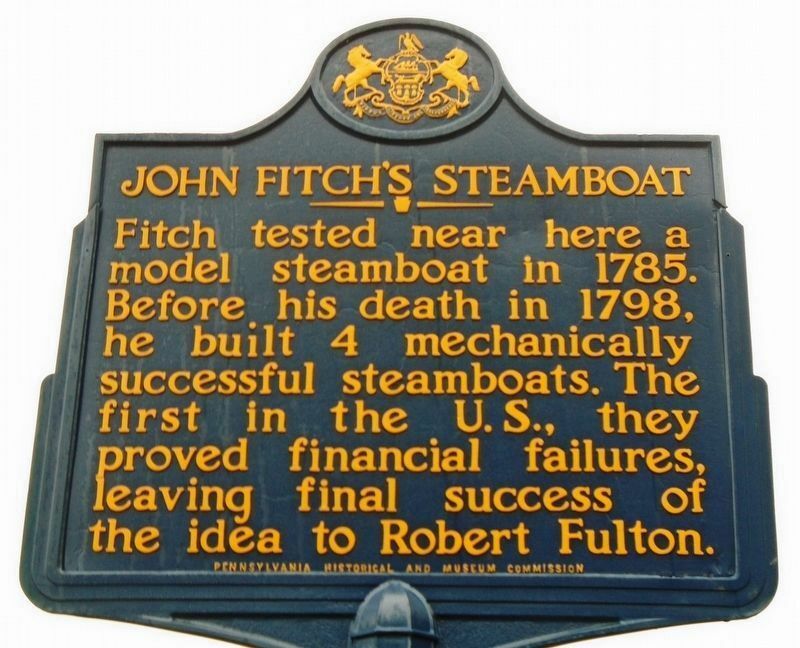 Fitch tested near here a model steamboat in 1785. Before his death in 1798, he built 4 mechanically successful steamboats. 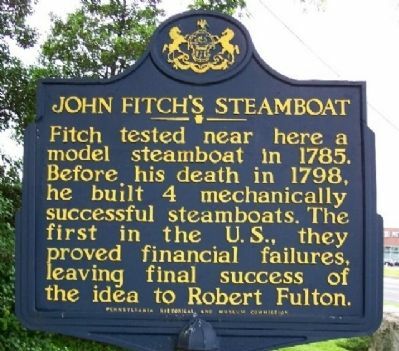 The first in the U.S., they proved financial failures, leaving final success of the idea to Robert Fulton. 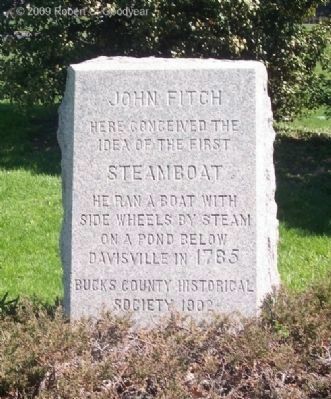 John Fitch here conceived the idea of the first steamboat. 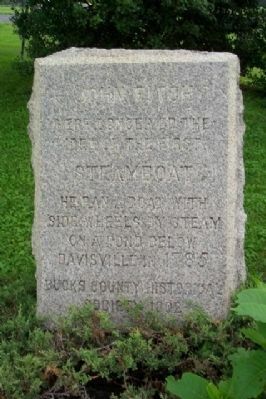 He ran a boat with side wheels by steam on a pond below Davisville, 1785. Location. 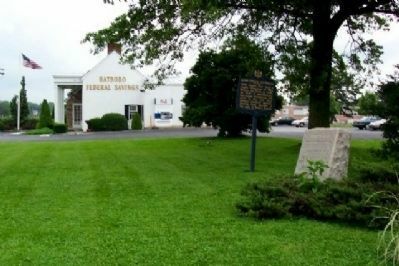 40° 11.476′ N, 75° 4.436′ W. Marker is in Warminster, Pennsylvania, in Bucks County. 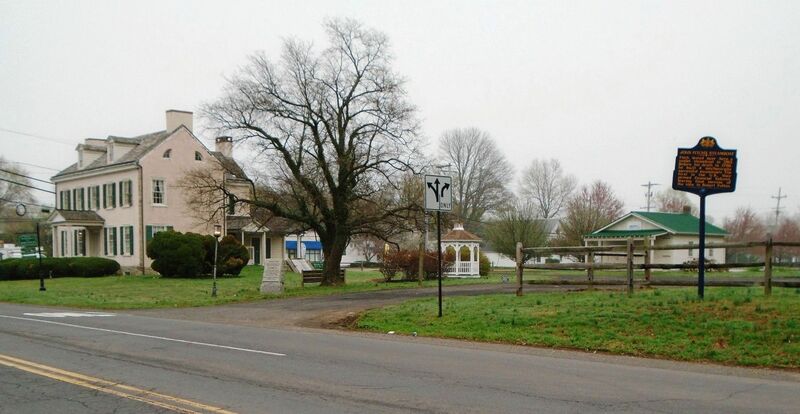 Marker is on Newtown Road south of Street Road (Pennsylvania Route 132), on the left when traveling south. Touch for map. 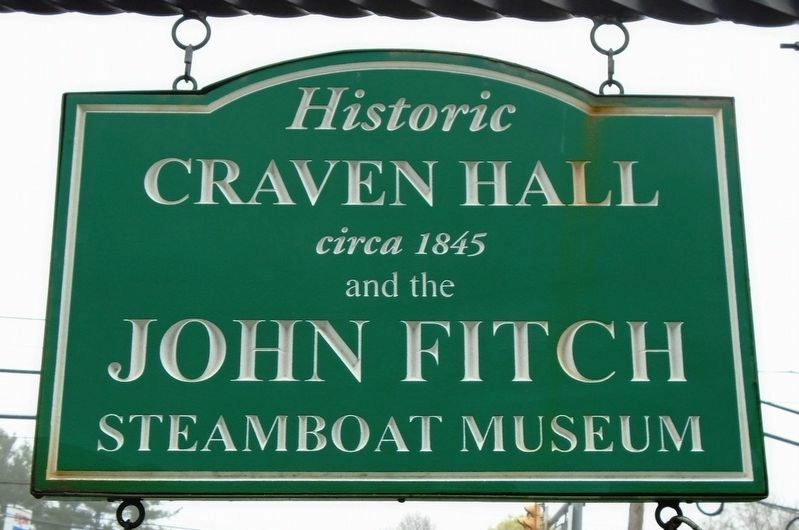 Markers were relocated to the grounds of Craven Hall & the John Fitch Steamboat Museum. 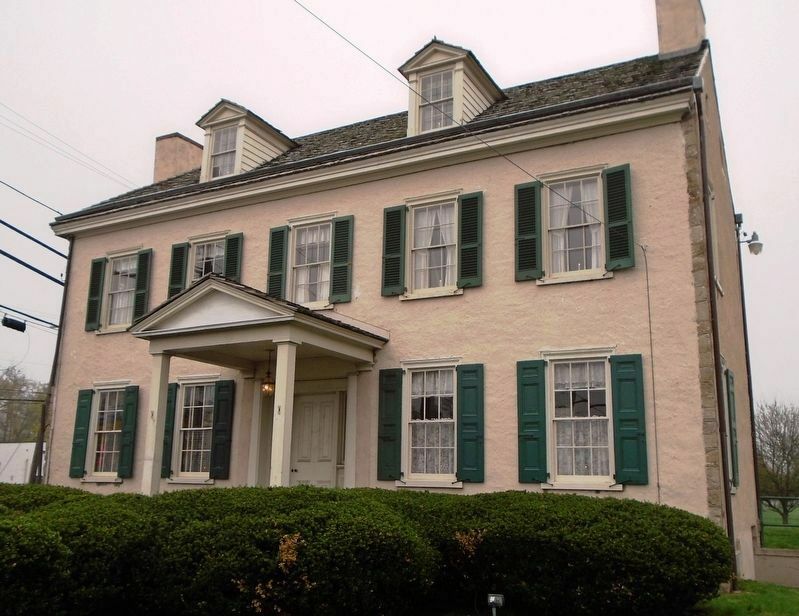 Marker is at or near this postal address: 599 Newtown Road, Warminster PA 18974, United States of America. Touch for directions. (approx. ¼ mile away); The Battle of the Crooked Billet (approx. 0.9 miles away); Crooked Billet (approx. 1½ miles away); a different marker also named Crooked Billet (approx. 1½ miles away); Rev. Alfred Earle (approx. 1½ miles away); Veterans Memorial (approx. 1.6 miles away); War Memorial (approx. 2 miles away). 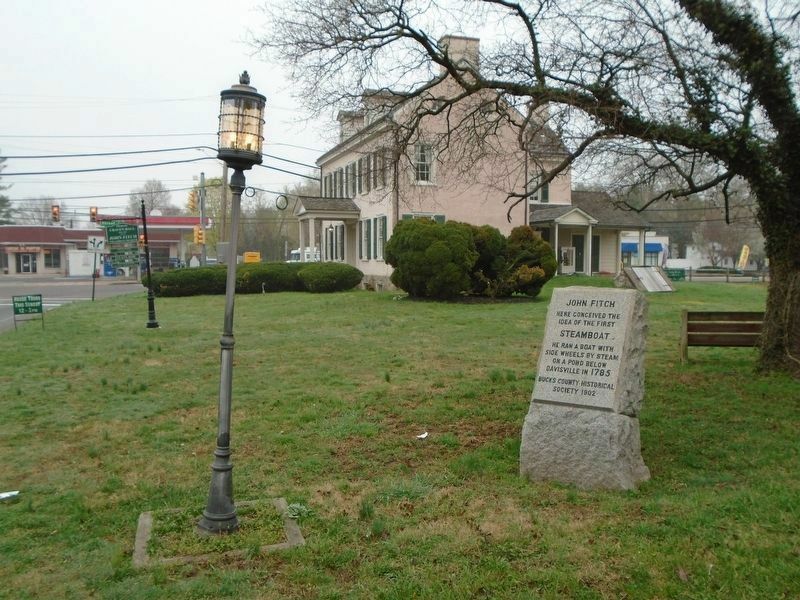 Touch for a list and map of all markers in Warminster. More about this marker. 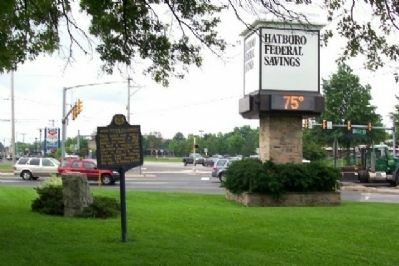 The marker was formerly located near 40° 12.411′ N, 75° 5.966′ W, at the intersection of York Road (Pennsylvania Route 263) and Street Road (Pennsylvania Route 132), on the right when traveling north on York Road. Original location, looking north along York Road. 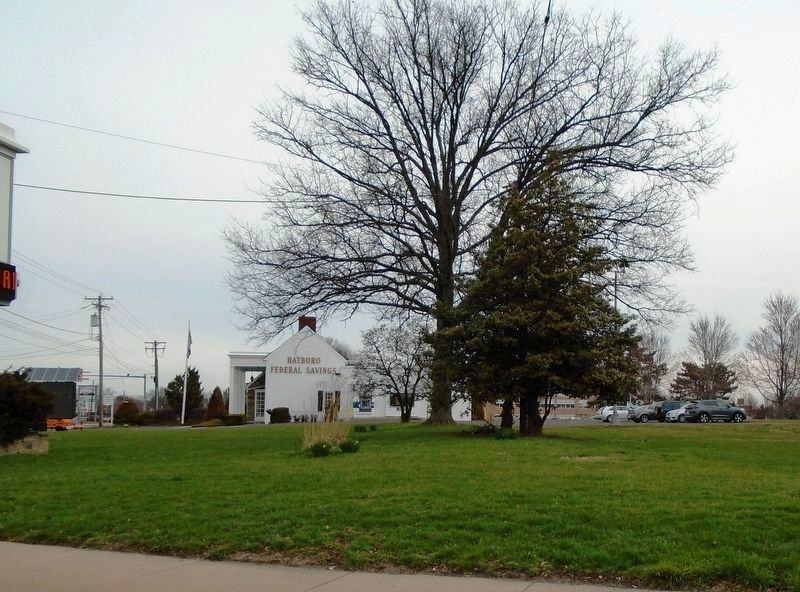 Original location, looking south toward intersection of PA 132 and PA 263. More. 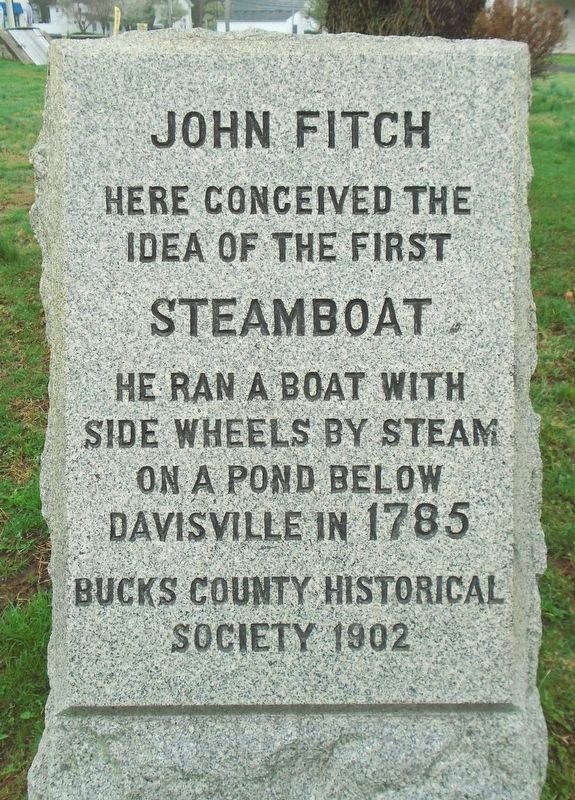 Search the internet for John Fitch's Steamboat. Credits. This page was last revised on April 14, 2019. This page originally submitted on August 9, 2009, by William Fischer, Jr. of Scranton, Pennsylvania. This page has been viewed 1,717 times since then and 18 times this year. Photos: 1, 2. submitted on August 9, 2009, by William Fischer, Jr. of Scranton, Pennsylvania. 3. submitted on December 8, 2010, by Robert C. Goodyear of Warminster, Pennsylvania. 4, 5. submitted on August 9, 2009, by William Fischer, Jr. of Scranton, Pennsylvania. 6. submitted on April 10, 2018, by William Fischer, Jr. of Scranton, Pennsylvania. 7, 8, 9, 10, 11, 12. submitted on April 14, 2019, by William Fischer, Jr. of Scranton, Pennsylvania. • Kevin W. was the editor who published this page.